Here’s our range of coffee service solutions for your indoor requirements. They range in size, look, functionality, suitability and drinks capacity. So, take a peek and take your pick. Fully functional plain white bar with brushed stainless steel surfaces, built –in power connections ,water tank(with filtration) and waste. External power requirement - a double 13amp plug socket. Compact 2 group espresso machine, coffee grinder and all associated barista equipment, tools and aids. Smart, friendly and experienced baristas. Serves up to 250 hot drinks over 4 – 6 hours service. Speciality coffee, organic teas and fair-trade hot chocolate. All ingredients, consumables and disposables included. Exhibitions, corporate hospitality, catering events, fashion events, film sets, press days, product and store launches, showrooms ,office meetings, weddings, roof terraces. Breakfast meetings, hotels, building lobbies, receptions, venue entrances, cocktail lounges, private parties, in your home. 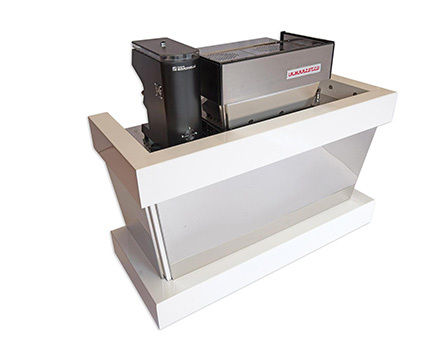 Height 90cm (excluding equipment ) x Width 1m (1.8m with flaps extended) x Depth 65cm. Fully functional plain white bar with a polished steel front. As an option, it has a tall light, which can be branded. Built –in power connections ,water tank (with filtration), sink, hot water urn and waste. External power requirement – a 32amp or 16amp connection and access to a separate 13amp double plug socket. 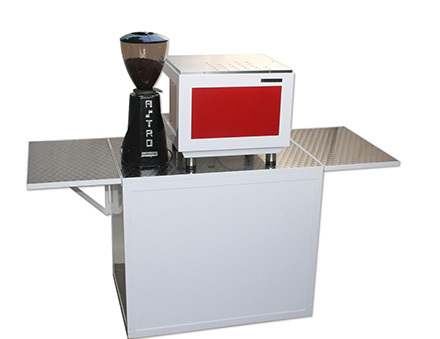 Large 2 group espresso machine, faster, more powerful coffee grinder and all associated barista equipment, tools and aids. Serves up to 500 hot drinks over 6 -8 hours service. Exhibitions, conferences, corporate hospitality, catering events , fashion events, Press days, product and store launches, Promotional, experiential and marketing activities, showrooms ,office meetings, weddings, hotels, building lobbies, receptions, cocktail lounges, private parties, summer balls and just shamelessly showing off!